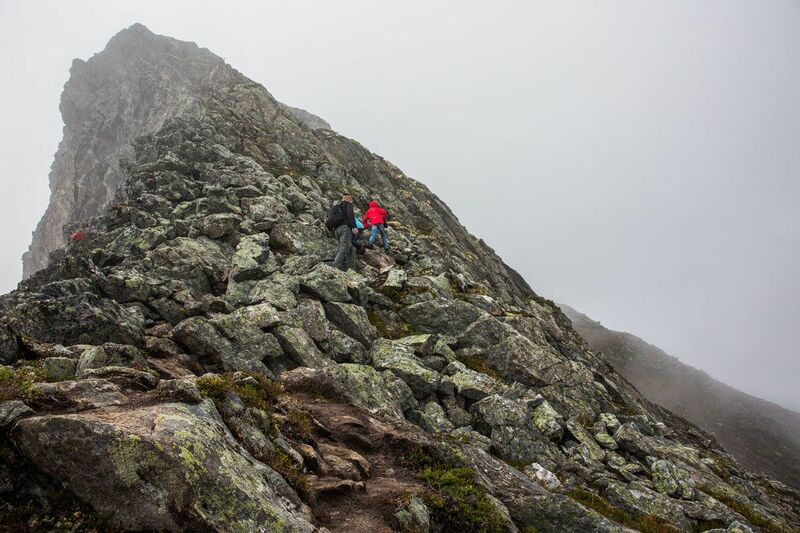 The Romsdalseggen hike, our final hike in Norway, was the most challenging and physically demanding hike of the trip. This was the hike I was looking forward to the most. 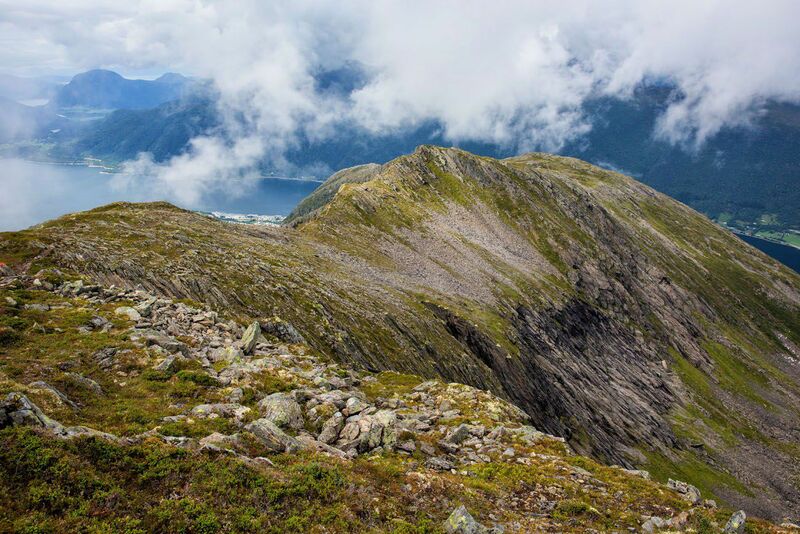 It was a point to point hike which would take us along the Romsdalseggen Ridge with views over the fjords, over the town of Åndalsnes, and even out to the western coastline of Norway to the Atlantic Ocean. 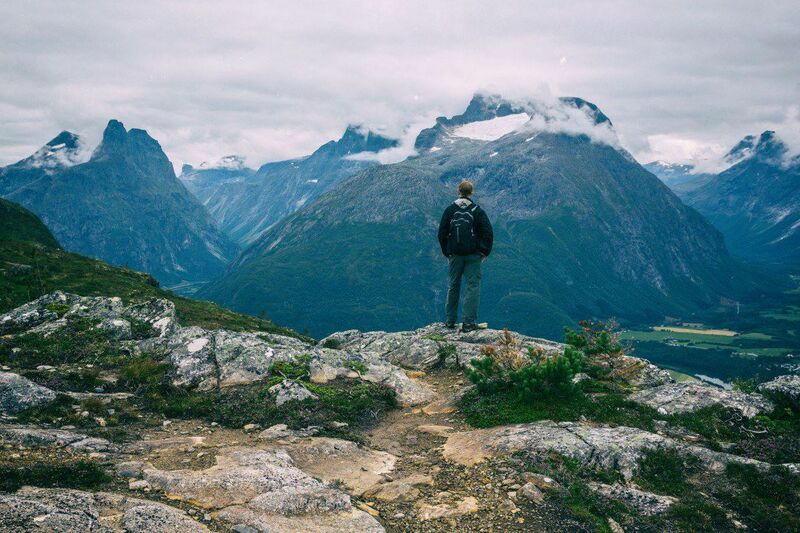 We had spent the last day and a half driving up to Åndalsnes just to do this hike. Difficulty: Difficulty is rated as expert, due to long climbs and descents over very uneven terrain. 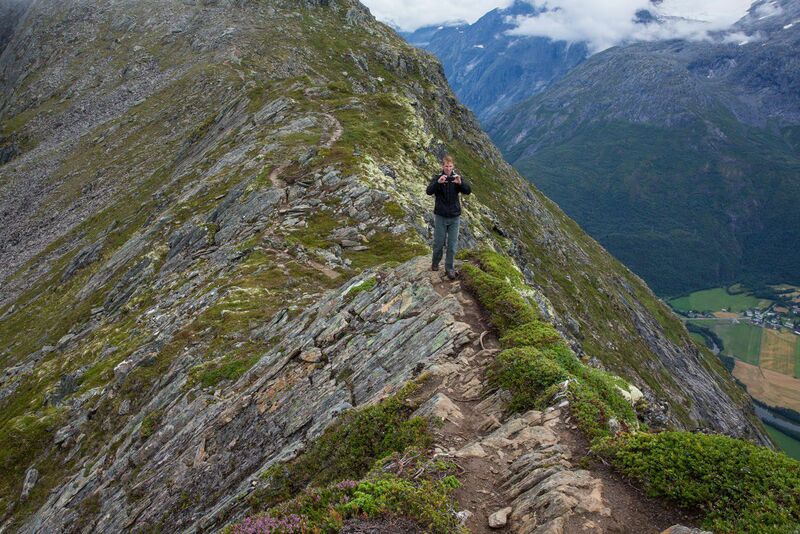 Since the trail follows the edge of a cliff, this hike can also be dangerous. On the morning of our hike, we awoke to cloudy skies. It was 39°F (4°C) with a small chance of snow in the morning. Snow! It was August. The four of us bundled up in multiple layers and drove into the town of Åndalsnes. At the Åndalsnes bus station, we boarded the bus that drives hikers to the start of the hike. 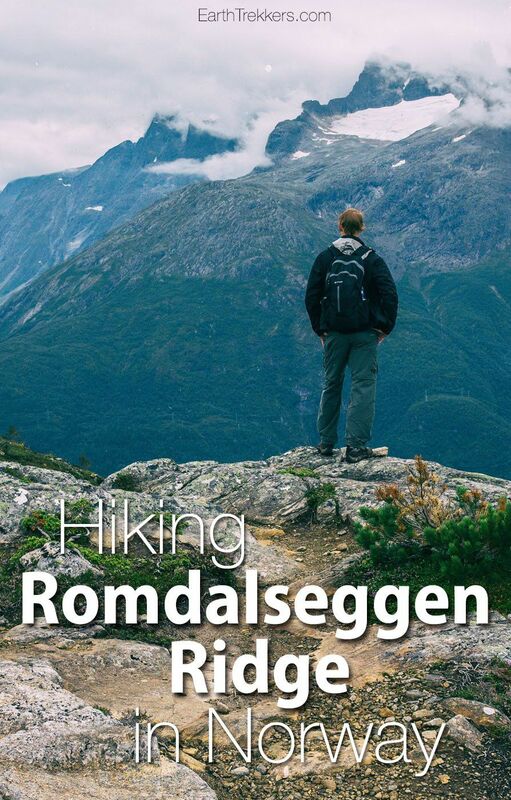 The Romsdalseggen Ridge hike is point-to-point, starting at Vengedalen Valley and ending back in Åndalsnes. On our bus were about 20 other hikers and our family of four. Once again, Tyler and Kara were the only children. So, at a little before 10 am, under cloudy skies with temperatures in the low 40’s, our adventure began. The first part of the hike was through a farm and up a hillside. We hiked past mooing cows and through muddy trails. We actually warmed up so we shed most of our layers almost right away. The vegetation changed as we climbed higher. 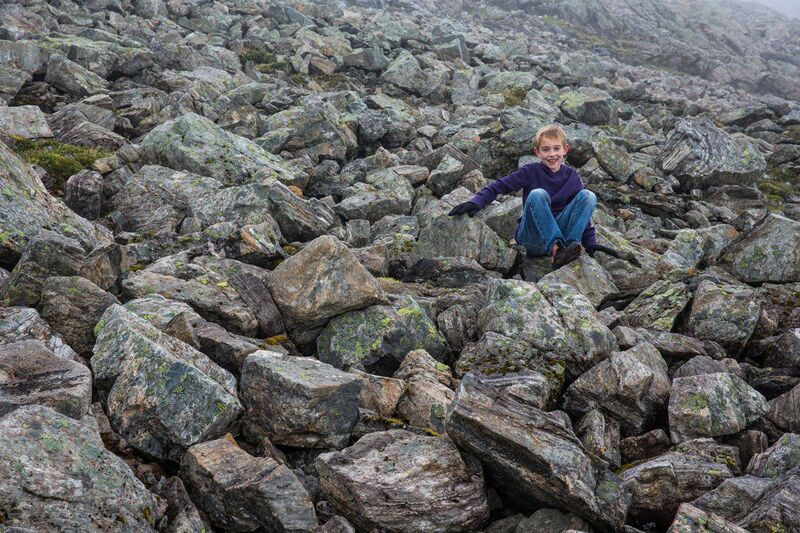 We left bushes, trees, and muddy trails behind for alpine grass and a rocky landscape. As we got higher, the air got chillier and more overcast, so the layers went back on. We ascended 800 meters through fields of boulders to the top of the ridge. This climb took us about an hour and a half. Unfortunately, the skies did not clear up. In fact, the weather actually got worse. Just as we reached our first real viewpoint it began to rain. The low lying clouds hid our views of the valleys below. As Kara would say, “it was shivering cold” and she was miserable. Kara was crying, it was raining, and I was disappointed because this hike was turning out to be a big ole waste of time. I was beginning to get very frustrated with Norway and its unpredictable weather. We gave Kara a lollipop which helped her feel better. The four of us hiked towards the Blanebba viewpoint and we actually had pretty good views down into the valley for several minutes. We enjoyed these views while we had them. It did not take long for the clouds and rain to move back in. As we hiked along the ridge we were alone for most of the time. This was the least populated hike we had in Norway (but the weather was also less than ideal). We hiked along the ridge and up and down smaller ridges of boulders. With fog all around us we could not see the straight down drops on either side of us, but we knew they were there. We had short climbs with chains again, which Tyler and Kara loved. Because of the fog and reduced visibility, we really had to keep an eye on Tyler and Kara. In foggy weather, there is a real danger of walking off of the ridge. Finally, after four hours of hiking, the fog and clouds began lifting. We had clear views of the ridge in front of us and the valley below, and the views were spectacular. As we started hiking downhill towards Åndalsnes the weather continued to improve. I was finally happy but I was driving Tyler and Kara crazy by constantly stopping to take photos. Finally, six and half hours into the hike, we started the final descent into Åndalsnes. This is a very steep path down into town and we were hoping it would go quickly. By now we were all feeling fatigued. The hike down was extremely difficult, and it was probably the most challenging part of the whole day. Part of the normal trail was closed and we were forced to descend down steep, muddy drops with the use of ropes attached to the rock face. Tyler and Kara needed a lot of help here, and before long all four of us were muddy. The main trail was closed, since it was under construction. The stone steps that are currently in place were being added during our hike in 2013. 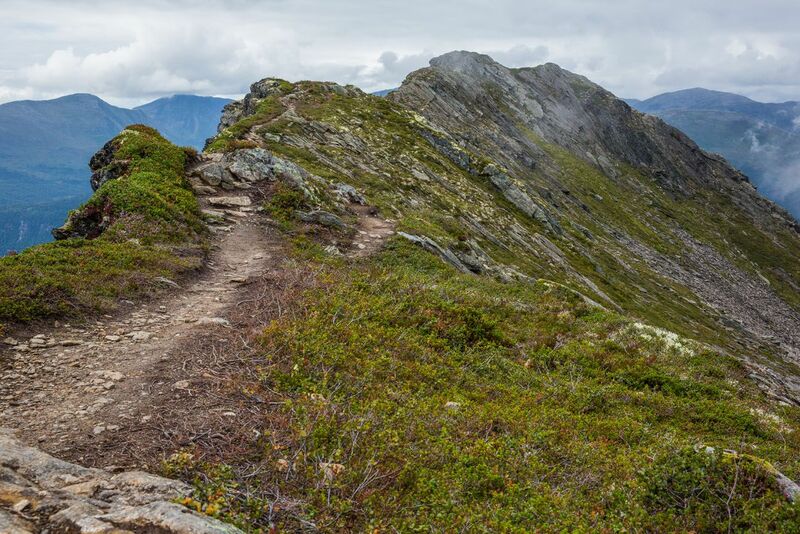 Finally, the rock descent was over, and then it was a steep, sometimes very slippery trail into Åndalsnes. At 6:20 pm, eight and a half hours after the start of the hike, we were finished. We were so happy to be back in town. Although not the longest hike in distance, this was the most challenging hike we did in Norway. In the end I was glad we hiked Romsdalseggen. We did eventually get those views I wanted, and except for the last portion, it was a fun hike. We did this hike in August 2013. Since our hike, stairs have been added to the final descent into Åndalsnes, making this part of the hike much easier. But it is a steep descent, so be prepared for aching knees or wobbly legs once you get back down to town. On the descent to Åndalsnes, you have the option to walk out to the Rampestreken viewpoint, definitely worth your time. Why not have one final, amazing view before arriving back in Åndalsnes? 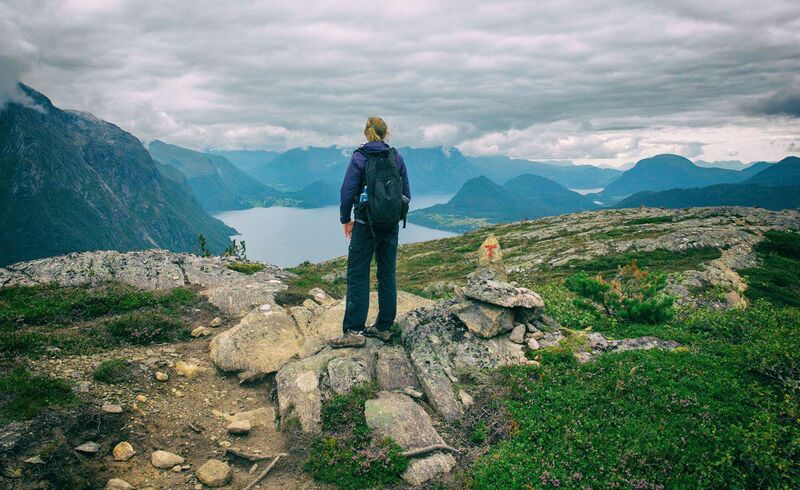 From June 30 to September 30, there is a bus that takes hikers from the Åndalsnes bus station to the trailhead. Bus tickets cost NOK 150 and they do have reduced price tickets for families. Purchase your tickets online using this link or purchase them at the Romsdals Booking office before departure. The bus leaves at 9:30 am each morning. 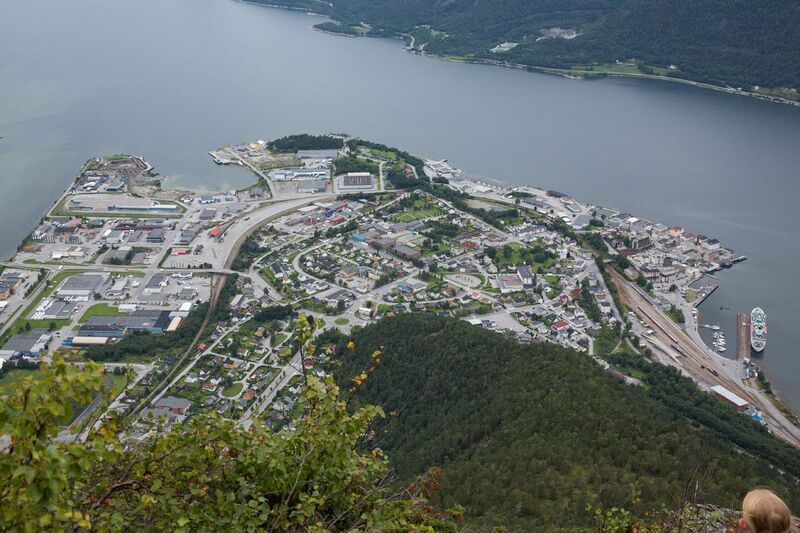 According to the Visit Andalsnes website, the bus may operate on weekends in June depending on the weather and snow conditions in the mountains. In 2018, the last bus to trailhead was on September 25. The bus ended service early due to bad weather. When we did this hike, Tyler was 10 and Kara was 8. 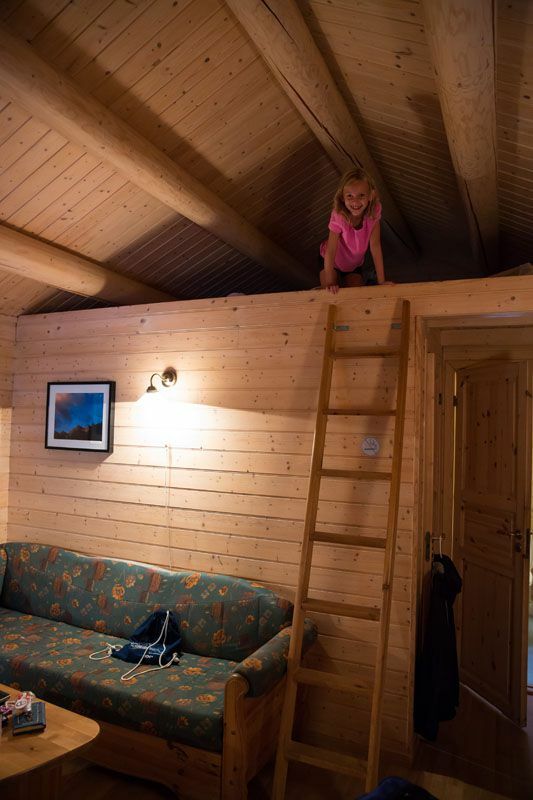 The Visit Norway website recommends that only children over the age of 10 should do this hike. Romsdalseggen Ridge definitely tested Kara’s endurance. This was difficult for her but she did great. However, she also had lots of long distance hiking experience before doing this hike. 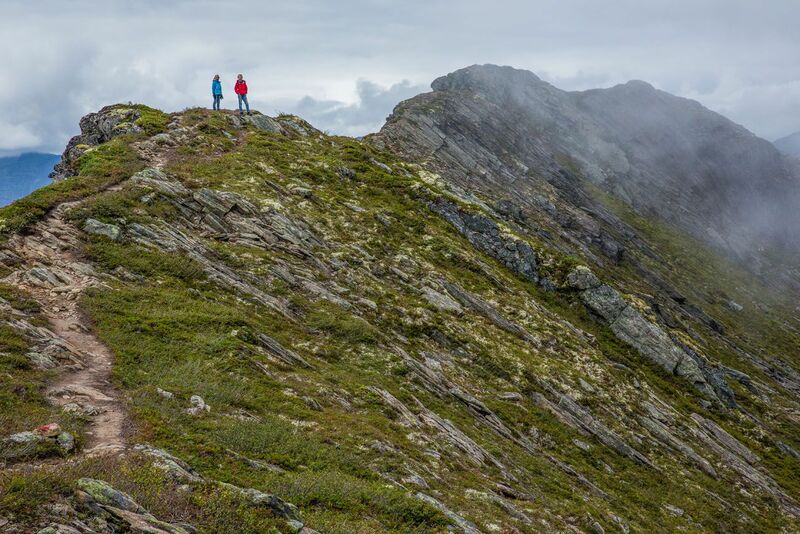 Romsdalseggen Ridge is a challenging hike and should not be underestimated. If your kids are young or have limited experience, you may want to consider just hiking up to the Rampestreken viewpoint instead. 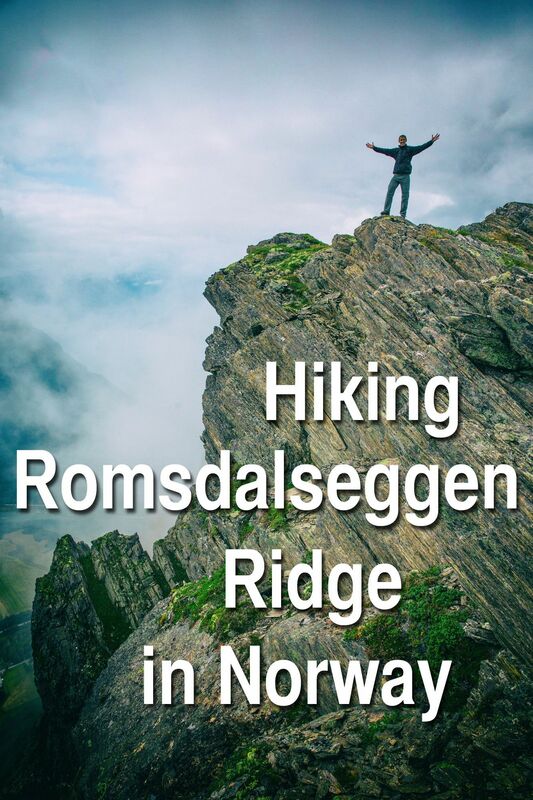 Romsdalseggen Ridge is challenging. This was our most challenging hike in southern Norway, even more challenging than Trolltunga and Kjeragbolten. But on a clear day, this can also be the most beautiful hike. If you are unlucky and have rainy, foggy weather, you might want to consider skipping the hike or saving it for another day. There is the threat of stumbling off the trail or losing your way. The trail is well marked but foggy conditions make hiking much more difficult. You also should not attempt this hike if you have a fear of heights or are an inexperienced hiker. This is a new addition to the hike. It was not here when we did the hike in 2013. 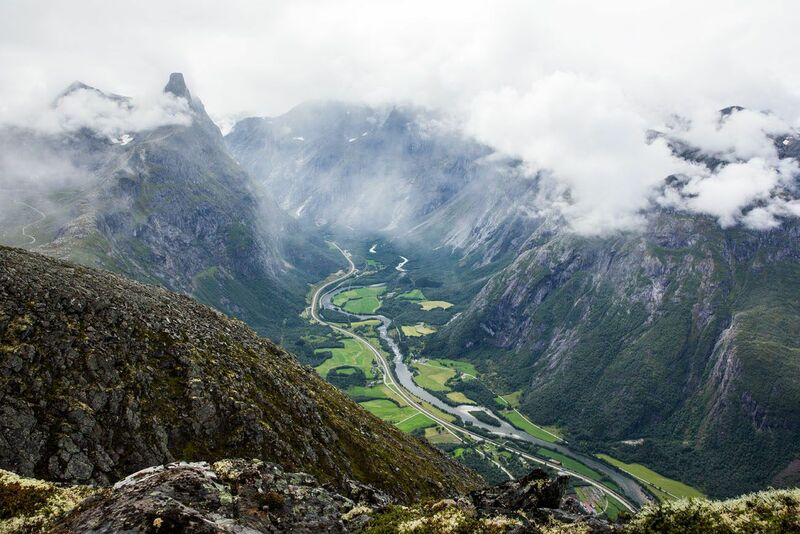 If you are in Åndalsnes before or after the hiking season, or if the weather is foggy on the day you are here, this viewpoint makes a nice alternative to doing the Romsdalseggen Ridge hike. Allow 3 hours round trip for the hike up and back. With almost 700 meters of climbing, it still can be challenging to get to the viewpoint. 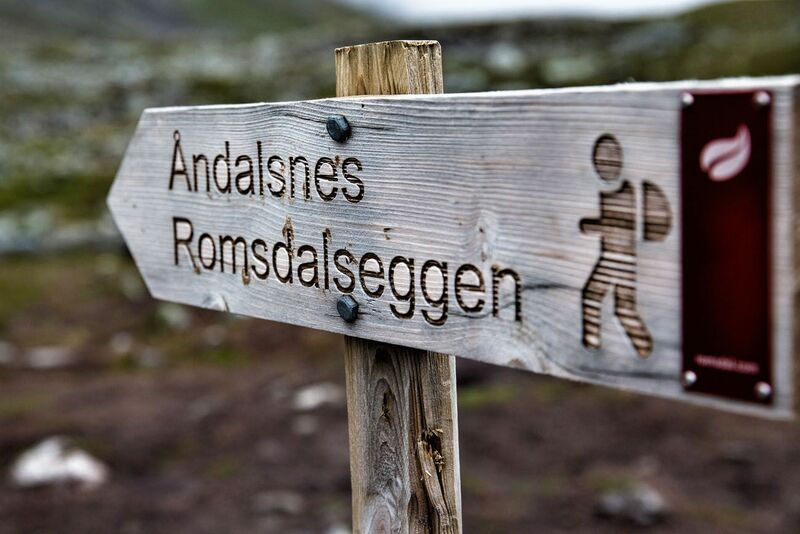 For more information about the hike, check out the Visit Norway website or the Visit Andalsnes website. I had been in Lofoten in same time that you and your family had been traveling, but we were on different way. As you wrote on another blog, Reinebrigen was under construction, so I couldn’t climb also. But while reading your blog at that time, I found I was near by Munken. In addition, the weather was fantastic to go up there. Finally, I went up to The top of Munken , I could see fantastic view around Munken including far Reinebrigen view. The reason I write about Munken here(Romsdalsegen blog), is that I was looking forward to going to Romsdalsegen after reading blog 2 years ago. 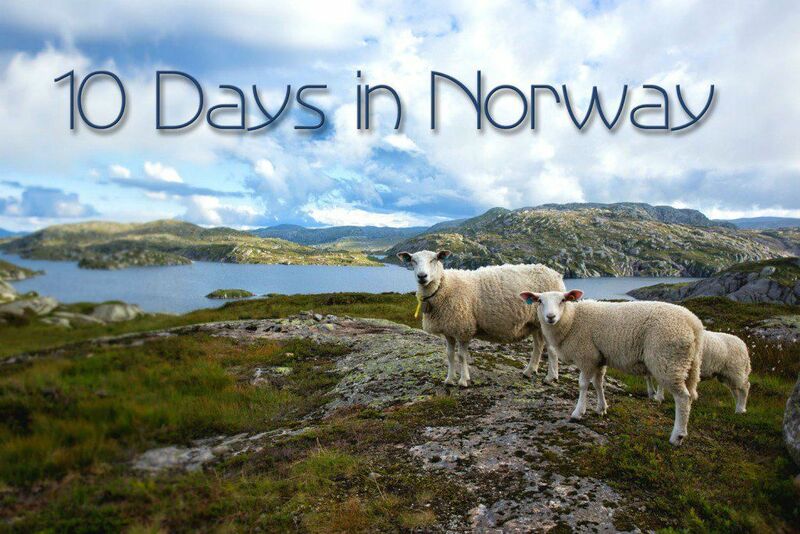 Julie, your Norway itinerary and articles on each hike are pretty much the entire basis for our upcoming trip in September ’18. My wife and I are fairly experienced hikers ourselves, however we’ll have our 17 month with us on this trip. 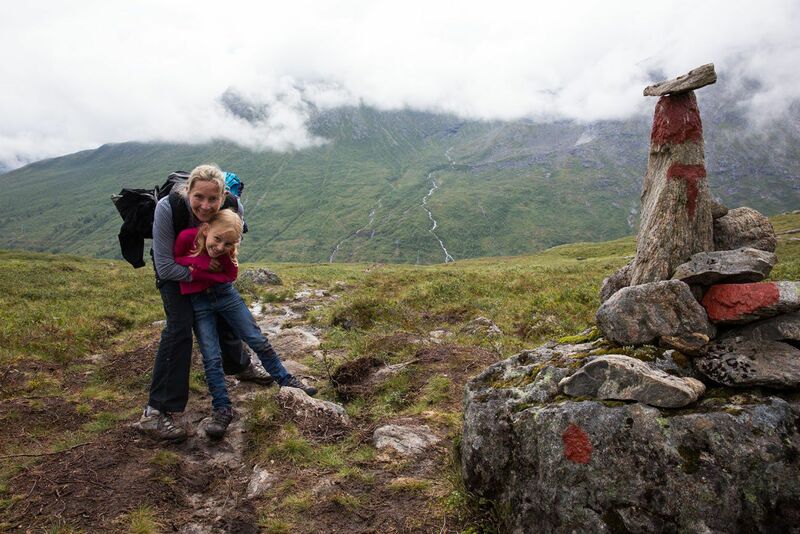 We will be hiking with him in a framed child pack (Osprey Poco), but I was curious if you saw anyone else attempting this with a child carrier and if its even possible given the moves needed to complete the hike. Very interested to hear your thoughts! 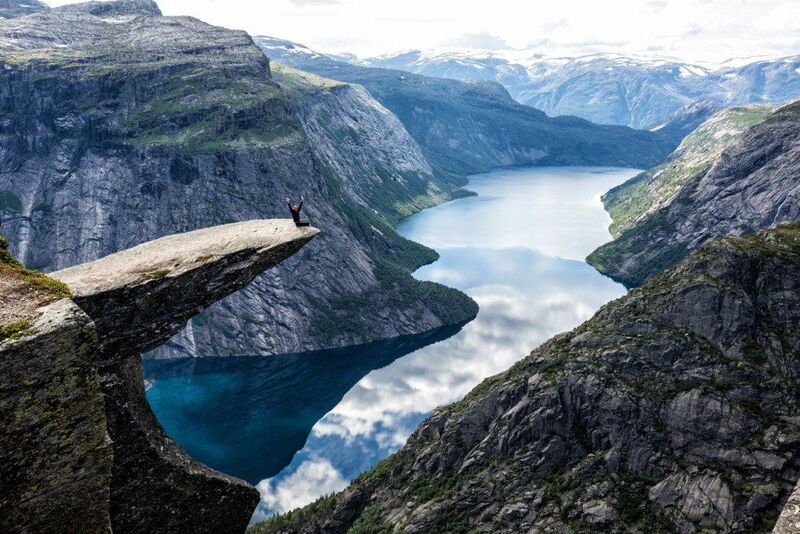 Also, if you think doing Pulpit’s Rock, Kjeragbolten, or Trolltunga would be a bad idea with a baby carrier, do let me know that as well. Thanks! Wow i just found there is that awesome course in andalsnes and added in my hiking list in July this year even i have to drive 9 hours from odda in a day. Should i book the bus ticket from andalsnes to starting point in advance? Trying to decide if we’re ready for this hike with my 11 year old son and 8 year old daughter. They’ve done plenty of hefty hikes in northern England, including some scree, and some 14 mile days… But never via ferratta or 2m wide ridges! I think we’ll go for it, but it definitely gives me some pause… have you run into others who’ve done this with kids? 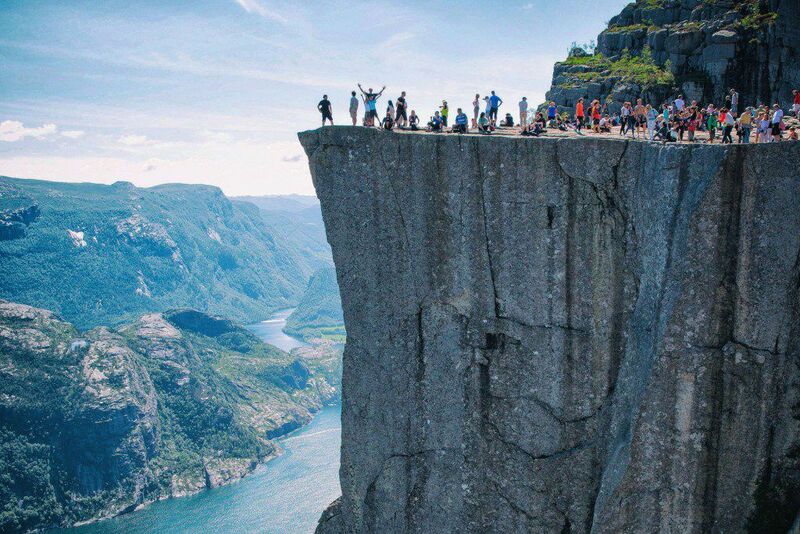 The day we hiked Romsdalseggen, there were only about 20 other people who did the hike. Maybe the overcast, rainy conditions kept people away. Our kids were the only kids doing the hike that day, and at the time Kara was just about to turn 9 and Tyler was 11. They had no real problems although the final, muddy climb down at the end was hard. But a path was being built so this part of the hike should be much better. 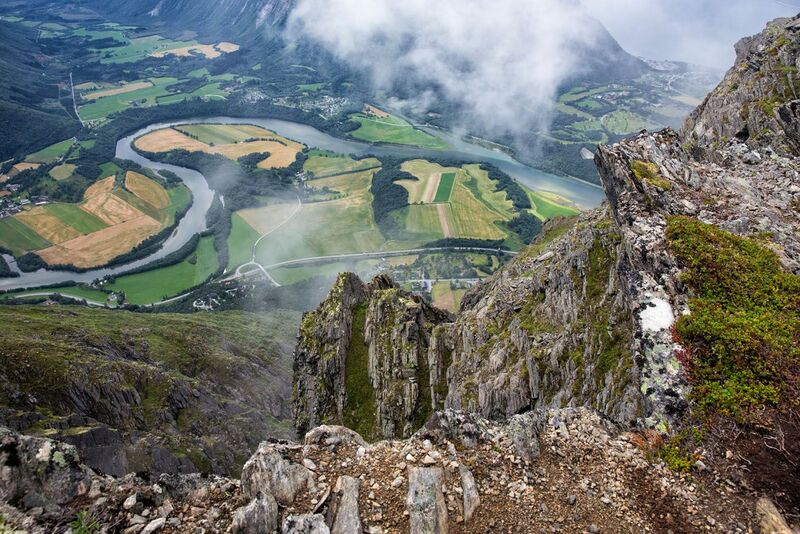 There is no via ferrata for Romsdalseggen (at least not in 2013). 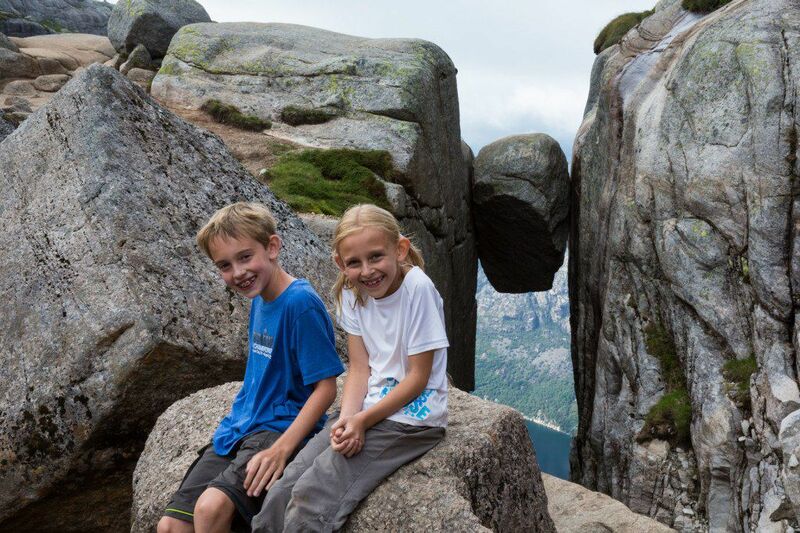 If your kids have hiked 14 miles and have lots of experience they should have no trouble on Romsdalseggen. The ridge is not as narrow as it looks in some photos. There is a drop off but it is easy to stay clear of the edge. Hopefully you will have a good weather day…we were there when it was drizzly and cool, obscuring our views. 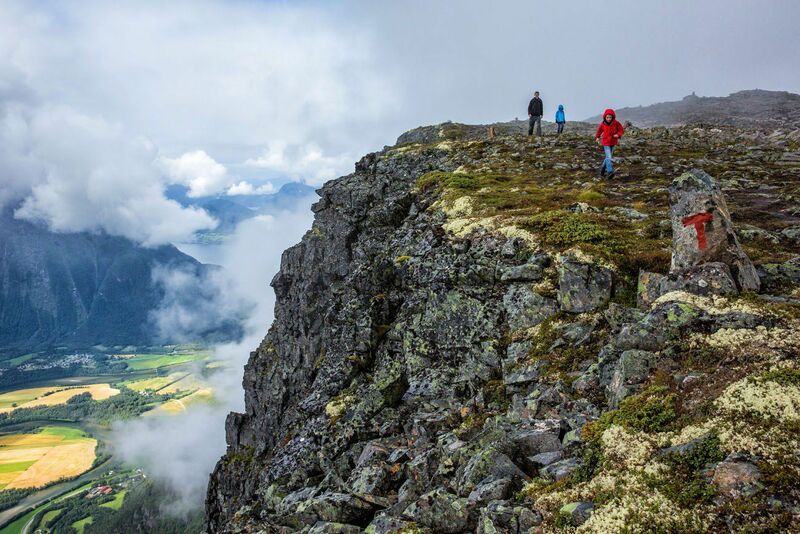 Romsdalseggen has the potential to be a gorgeous hike. I would say go for it!